Canadian member agencies were feted at the Travel Leaders Network conference now known as EDGE (Educate, Discover, Gather, Evolve) which is taking place at Caesars Palace in Las Vegas this week, writes Ilona Kauremszky reporting for Press Today from the event. 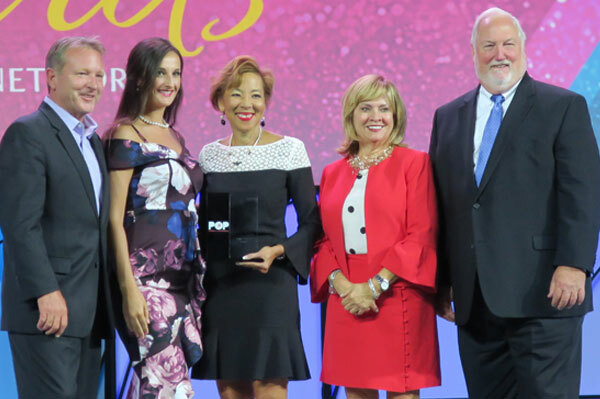 Considered one of the travel industry’s largest travel agency organizations, top agencies were celebrated at the“Power of the Partnership” Awards event which recognizes excellence among its membership. John Lovell, president of Travel Leaders Network and Leisure Group, alongside Roger E. Block, president of Travel Leaders Network, Christine James, vice president of TL Network Canada; and Karin Viera, vice president of sales, TLN recognized its travel organization’s top performers this year at the general session and opening reception. Among the many Canadian agencies recognized in the Affiliate Agency Awards were Sahara Travel from Toronto in the Small Agency category; mid-sized agency All In One Travel in Toronto; while New West Travel was awarded the large agency award. The agency affiliate with the most Cruise Pro bookings with TL Network in Canada is KVI Travel winning its fifth year consecutively. For the Chairman’s Elite Award, the Canadian Agency Affiliate awarded this prize was The Destination Experts from Windsor, Nova Scotia. The evening’s ceremony also recognized a variety of other categories. John Chernesky, vice-president of North Americas sales with Princess Cruises presented some of the new on-board cruise programs to bring the destination onto the ship. Maori presenters have been featured in the New Zealand and Australia program called “Across the Ditch,” and Hollywood TV and music celebrity speakers have been featured on the California coastal sailings a few examples of some of the cruise highlights he presented. More than 2,000 travel industry professionals from across the U.S. and Canada are gathering this week at Caesars Palace in Las Vegas for the annual international conference hosted by Travel Leaders Network. The five-day EDGE conference runs from June 12-16 and features educational workshops, professional development sessions, technology showcases and guest speakers. Stay tuned for more happenings on EDGE. John Lovell; Diana Plihtiak with All In One Travel; Christine James; Karin Viera and Roger Block.